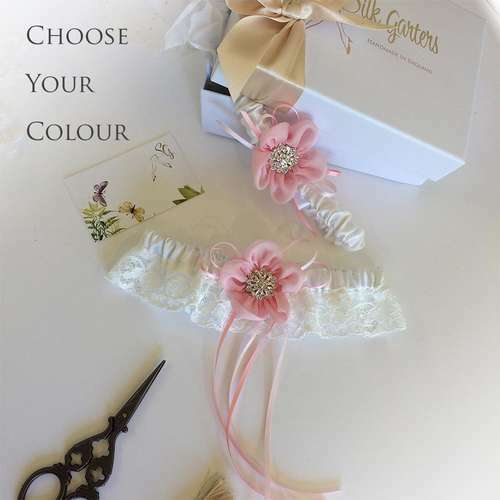 Gorgeously romantic wedding garter sets, perfect if you want to have fun with the traditional wedding garter toss. The garter toss comes from the medieval wedding game' fling the stocking'. The garter toss was frowned upon in Victorian England, but is now having a revival. 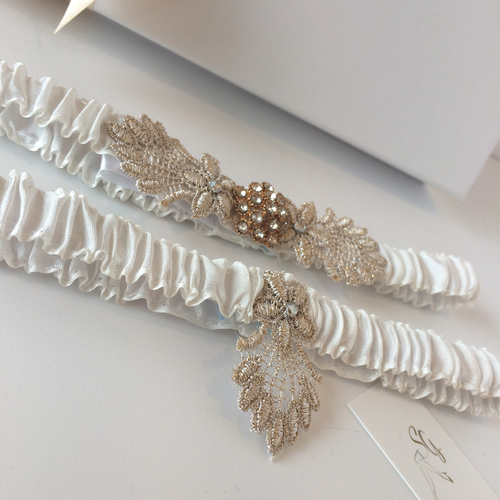 It's always been popular in the USA with most garters being sold in sets, one keepsake garter and a matching plainer garter to toss.